Watch the BIGGEST NAMES in Westerns! 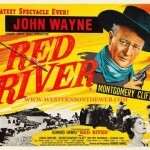 Western MOVIES to Watch FREE ONLINE Over 1000 Westerns. JUST CLICK ON A PHOTO TO LEARN ABOUT THE STAR AND TO WATCH THEIR WESTERN MOVIES! 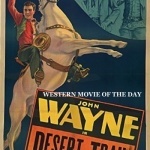 Featured Western Movie of the Day DESERT TRAIL starring John Wayne. 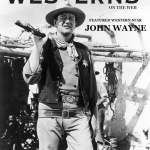 CLICK ON THE PHOTO READ PREVIEW AND WATCH JOHN WAYNE WESTERN MOVIES! 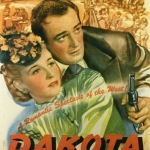 John Wayne – DAKOTA – Western Movie. 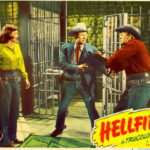 Starring – John Wayne, Vera Ralston, Walter Brennan and Ward Bond. Just click on the poster to be taken to this Western Movie!